Discreet but essential. Refined yet subtle. This watch’s refined design has been orchestrated down to the smallest detail. 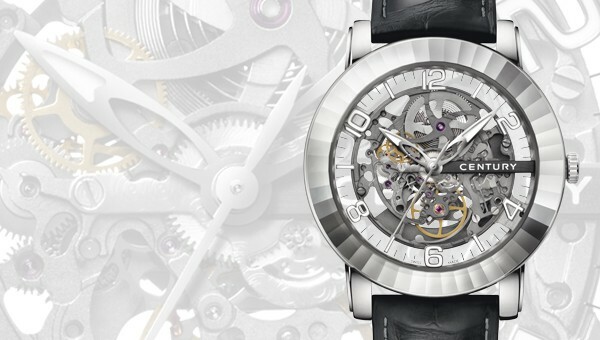 CENTURY’s ELEGANCE for men comes in a prodigious skeleton version. With its modern lines and bold design, its visible movement celebrates the classic hallmarks of masculine style more than ever before. A stunning visual and technological feat, CENTURY sapphire is the material of choice used to encase this timepiece, and has been cut and polished entirely by hand. The 48 facets of the CENTURY sapphire case show this exceptional material at its glittering best. With its inalterable quality and pure brilliance, it embodies the spirit of adventure, in space and in time. For the first time, the ELEGANCE has chosen to fully reveal its inner movement. To admire each component, bridges and plate have been openworked to reveal the subtle architecture and movement which, like a beating heart, palpitates under the CENTURY sapphire dial. The large hour-markers and openworked Super-LumiNova hands further enhance the spectacle and the fascinating floating sensation. The collector’s ultimate dream: time suspended at last. Playing on the brilliance of the CENTURY sapphire and the mat finish of the plate, the new ELEGANCE immediately takes precedence as a new reference in masculine watchmaking. Boasting a power reserve of 42 hours and offered in 38.5mm and 42 mm diameter steel version, this new model is water-resistant up to 100m and features a choice of a metal bracelet or an alligator leather strap. ELEGANCE is breaking all the records, both technical and design wise. A sense of challenge that will appeal to those who appreciate beautiful objects with a fresh thrill of pleasure, every minute of every hour. Model in steel. CENTURY sapphire with 48 facets cut and polished by hand. 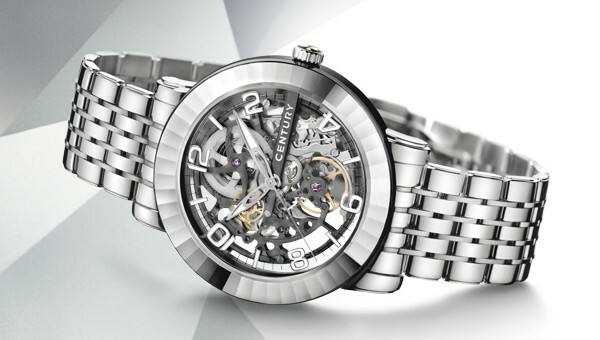 Swiss self-winding mechanical movement, skeleton.